Following the end of the Cold War and European Union enlargement, in what sense does Eastern Europe continue to exist as a meaningful geo-political concept? In addressing this question, contributors to this volume—Alex Cistelecan, Robert Bideleux, Katalin Miklóssy and Dieter Segert—tease out the implications for an ‘Area Studies’ approach to the region. They examine its contradictory situation within discourses of ‘orientalisation’: on one hand, posited as the ‘underdeveloped’ pendant to its western neighbours; on the other, largely Christian by religion and an integral part of a continent that dominated the world. They uncover the roots of area studies in the ‘colonial paradigm’ by which great powers promote the creation of predictive, ‘problem-solving’ knowledge that is immediately apprehendable for decision makers, helping them to take advantage of a region’s resources and strategic position, but which tends to homogenise the region’s geography and history. 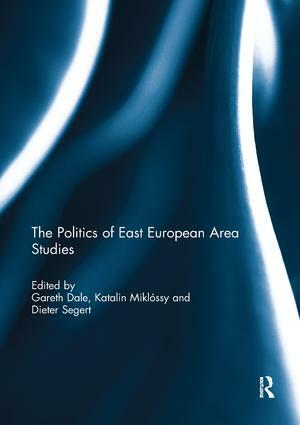 For critical inquiry, they argue, the challenge is to delineate transparently the reasons underlying Eastern Europe’s construction as an area of study, to identify the epistemological interests of motivated organisations such as funding agencies and political bodies, and to counter the ongoing orientalism of Western perspectives toward the East. This book was originally published as a special issue of the Journal of Contemporary Central and Eastern Europe. Is There Really Something Like “Eastern Europe”? And If So, Why Do We Need Area Studies of It?